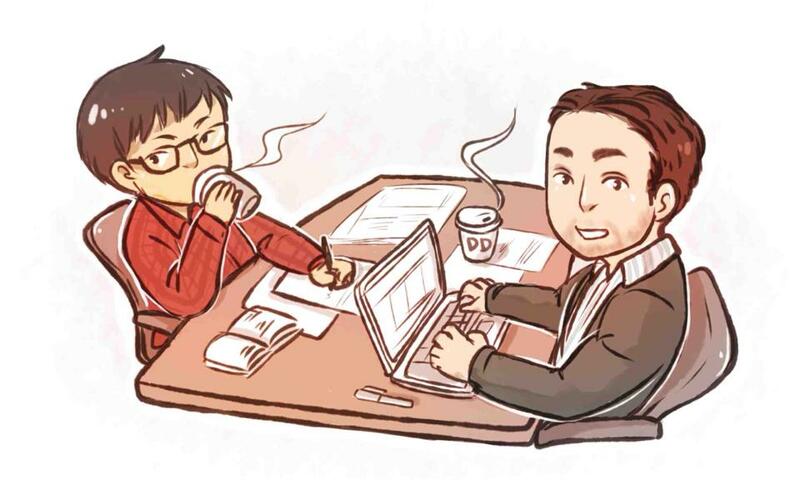 Fourth Estate Editors Frank Muraca and Hau Chu like to blab about journalism, so they thought Mason would benefit from having that discussion publicly (illustration by Katryna Henderson). Fourth Estate Editors Frank Muraca and Hau Chu spend a lot of time discussing how best to inform the Mason community. In rapidly changing world of journalism and media, they thought it'd be most helpful to have this discussion publicly. More importantly, we want to hear from you, the reader. Share your thoughts below or send us an email! Your ideas and feedback is important to us. First off, I wanted to give readers some context as to what we’ll actually be gabbing off about here. In case you, the reader, don’t know, Fourth Estate is only one semester old. Prior to this year, there were two big news outlets on campus – Connect2Mason and Broadside – that worked independently and competed for the same resources and readers. Broadside was Mason’s weekly newspaper that has been around more-or-less since the university started in 1963. Connect2Mason was a fairly new idea that was first established as a website to aggregate content from the Office of Student Media, but had since grown into its own independent outlet. Last summer, we decided to merge these organizations into what is now considered Fourth Estate. To learn more about the background reasoning for merging – I encourage you check out this New York Times article. While merging made a lot of sense in terms of resources, it also gave us a great opportunity to collect ourselves and answer some important questions about what our values and goals were: What is our role here at Mason? What do we want to achieve? How are we going to achieve it? The short answer is – well, we don’t really have one. If anything merging gave us an opportunity to breakout of our one-platform mindset and really experiment with ways to better inform the Mason community. It’s an exciting time to be part of journalism – especially at Mason. Technology has given us an opportunity to tell stories in a way that will grab more attention, inform communities and have a real impact. If anything, the possibilities of journalism have really expanded since the days where all you could do was publish pictures and text. We wanted to use this space to explore some of those changes and how they might affect what we do here at Fourth Estate. I first wanted to talk about how people (particularly young people) consume media today. What drives someone to click on a story or watch a video? What compels them to stay? Did they actually learn anything from it? While it’d be nice to think that students are going to these outlets in droves - reading, learning, investigating further, etc. 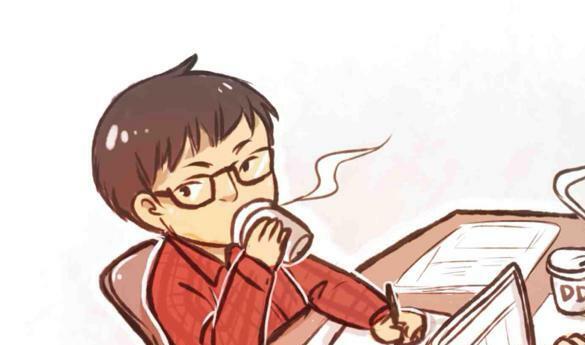 – I would bet that most students are consuming information in a far more chaotic way then waking up and diligently informing themselves before their day begins. I would bet that, instead, students bounce in and out of Facebook and Twitter, rapidly clicking through websites (perhaps Buzzfeed or UpWorthy) without as much attention as they would give, say, their class textbook. What does that mean for us? Some major news outlets have adopted many of the strategies and tools first employed by Buzzfeed/Upworthy, including listicles, and attention-grabbing headlines. So here’s our challenge: Is there a way we can use these things to better inform Mason about what’s happening around campus? Or are we going to be oversimplifying the stories just to get more readers? Some might say that we have to adopt attention-grabbing strategies or else bigger, better-funded media outlets will drown us out on Facebook and Twitter. There has been well-recorded evidence that shows readers jump around the internet sporadically, hopping from one link to the next without taking the time to fully read articles. That’s certainly a problem that we face with our organization. Since October, the average time spent on the website is about a minute and a half - hardly enough time to read through all the great profiles of Mason’s provost candidates. Three fourths of our readers don’t even bother to read another story. So, Hau, here’s my question for you: The Internet is a way to give a ton of information to readers; how do we get them to actually sit down and read it? Has the answer already been found? Is it even very good?